Do you work with children who are anxious at school or at home? 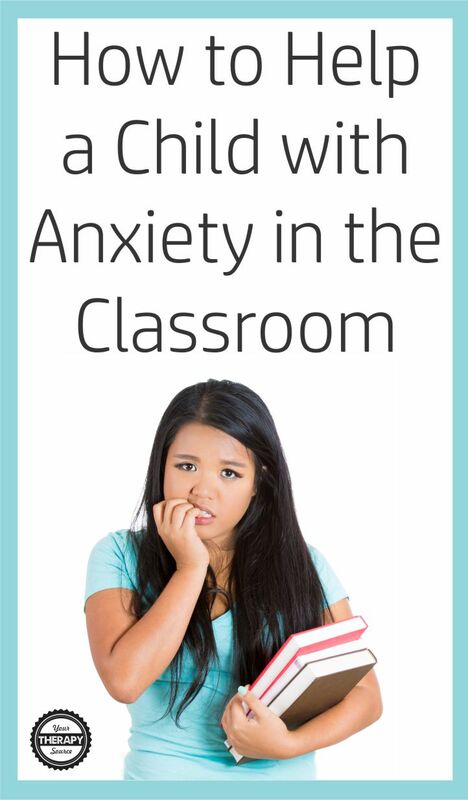 Learn how to help a child with anxiety in the classroom with these 10 interventions. Parents and teachers can be part of the support system for a child who experiences anxiety. Relaxation Techniques – try deep breathing, self-calming activities, etc. Cuddling – parents can provide cuddle time at home or children can cuddle a stuffed animal in the quite space area in the classroom. Have fun – try playing a game or other types of fun activities to reduce anxiety. Grading anxiety – when children learn how to grade their anxiety it can help with self-regulation and self- management. Try using a visual to grade anxiety levels. Reference: Gobrial, E., & Raghavan, R. (2017). Calm child programme: Parental programme for anxiety in children and young people with autism spectrum disorder and intellectual disabilities. Journal of Intellectual Disabilities, 1744629517704536. Designed by a school based occupational therapist, Thia Triggs, this color coded visual support system is suitable for your children with autism, emotional behavioral disturbance, intellectual disabilities, ADHD, communication disabilities, and more. Pictures are cute, engaging, and easy for children to understand. 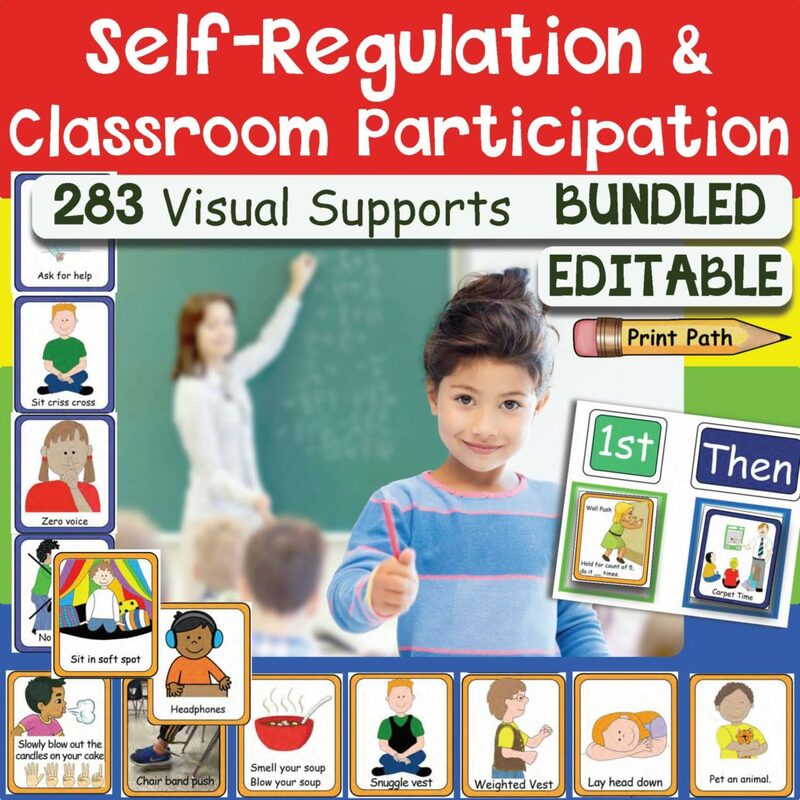 Visual supports for self-regulation can be pivotal in implementing an IEP in the least restrictive environment. This digital download includes 283 visuals. FIND OUT MORE INFORMATION.